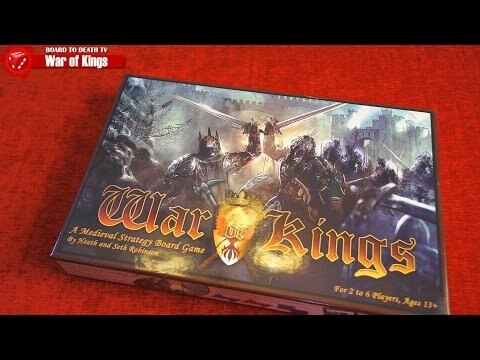 War of Kings is a premium 2 to 6 player medieval strategy board game that combines exciting combat with a well-balanced and engaging economic system that plays in between 90 and 120 minutes. Resource management is key to build settlements, fortifications, and roads, while engaging other kingdoms in combat with your armies. War of Kings was funded on Kickstarter in 2014.